Now in its fifth edition, Doing History offers a unique perspective on teaching and learning history in the elementary and middle grades. Through case studies of teachers and students in diverse classrooms and from diverse backgrounds, it shows children engaging in authentic historical investigations, often in the context of an integrated social studies curriculum. 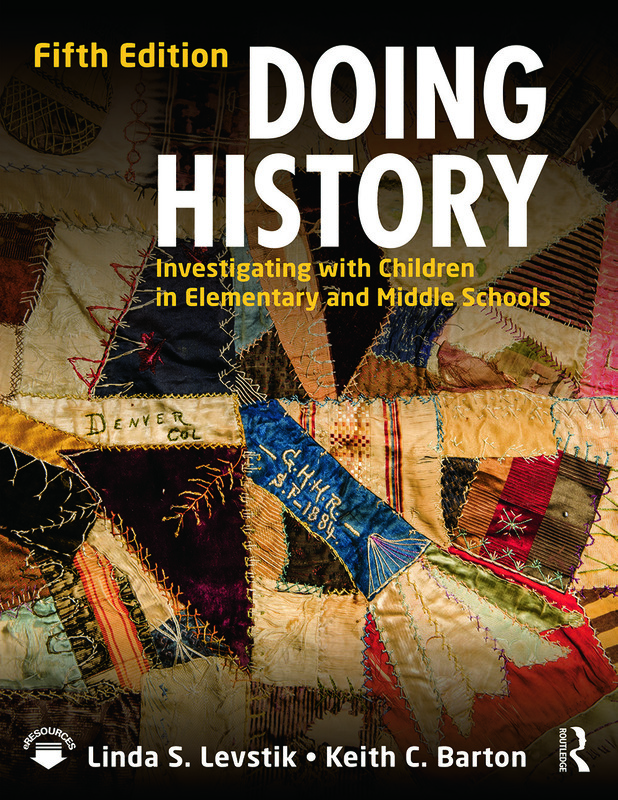 The premise is that children can engage in valid forms of historical inquiry—collecting and analyzing data, examining the perspectives of people in the past, considering multiple interpretations, and creating evidence-based historical accounts. Grounded in contemporary sociocultural theory and research, the text features vignettes in each chapter showing communities of teachers and students doing history in environments rich in literature, art, writing, discussion, and debate. The authors explain how the teaching demonstrated in the vignettes reflects basic principles of contemporary learning theory. Doing History emphasizes diversity of perspectives in two ways: readers encounter students from a variety of backgrounds, and students themselves look at history from multiple perspectives. It provides clear guidance in using multiple forms of assessment to evaluate the specifically historical aspects of children’s learning. "This book is, bar none, the best collection of ideas on teaching history in meaningful ways to elementary and middle school students. The authors ground engaging teaching examples in relevant theory and draw connections to technology, literature, and the arts. It is a must-have for any history teacher." Linda S. Levstik is Professor in the Department of Curriculum and Instruction at the University of Kentucky, USA. Keith C. Barton is Professor in the Department of Curriculum and Instruction and Adjunct Professor of History at Indiana University, USA. The links below are downloadable PDFs of bibliographic lists of children’s and adolescent literature, organized by topic. Each list corresponds to a chapter in Doing History: Investigating with Children in Elementary and Middle Schools, 5th Edition.